Hiring our chair covers and sashes can transform the look and feel of any room in your chosen venue. We offer a full service including liaising with your wedding or function coordinator, delivering your products, dressing your chairs and collection of these items, this ensures you have a care free and relaxing day. Before each event the chair covers and sashes are freshly laundered and ironed. Our high quality perfect fit chair covers, will fit on the majority of banqueting chairs, without arms, these covers will give you a sleek and elegant look. Each chair cover can be complimented with our beautiful sashes, available in luxury taffeta, lace, satin, floral organza, chiffon and sparkly buckle bands, with a full colour palette to choose from. In addition we also supply hessian, lace, satin, taffeta and sequin table runners, top table swagging in a choice of materials, sequin top table and cake table cloths. This service is available in the following areas: Torquay, Paignton, Brixham, Totnes, Newton Abbot Devon. 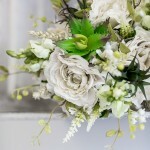 I have noticed a change recently within faux and artificial flowers and foliage, the realism, quality and colour palettes from our leading suppliers are exquisite and from someone who is a qualified florist with many years experience within the fresh flower industry, I can honestly say some times I can not tell the difference!. There are so many benefits with choosing faux and artificial florals for your wedding day, usually they are less expensive to fresh flowers, better colour matches can be achieved, you can have different flower varieties in any season, perfect if you have allergies, also for destination weddings, as they are easy to transport and will not wilt and of course best of all you can cherish your flowers forever. UK and international postage is available for keep-sake orders. Each bride is unique in so many ways! I understand that not every one loves flowers as much as me. So over the last few years we have been designing and creating some truly bespoke and keep-sake designs including bouquets, buttonholes, flower wands, pomander balls and wristlets for the alternative wedding. Designs are tailored to compliment your colour palette and style, we can create these using a variety of vintage brooches, buttons, fabric flowers, dried seed pods, miniature toys, hessian, ribbons, felt, shells, drift wood, butterflies, beads and so much more. UK and international postage is available for keep-sake orders. My favourite pastime involves a cup of tea (with biscuits) and a pile of magazines. I find myself spending hours looking through home interior, garden, fashion and bridal magazines, looking for inspiration on the latest trends and products. 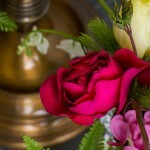 I take time and care sourcing the high quality and unique products to hire for your weddings and events in Devon. Decor styles include rustic, vintage, retro, romantic, seaside and elegant. This is a collection that is continually evolving and expanding.